I'm pretty sure I've used that metaphor before. When I leave this space quiet for too long I come in and dust it off and start working again. So here I am, early spring cleaning. I've been really getting into a few blogs lately. Reading back and back and back, learning women's stories. Seeing their lives. Getting inspired. Feeling a little creepy. But mostly, getting inspired. The new year has come and gone. Unceremoniously. Digitally as I didn't mention it here. And literally as I fell asleep on the couch at 11pm on New Year's Eve. I've dug into my new planner and so far, I feel fairly on top of the new year. 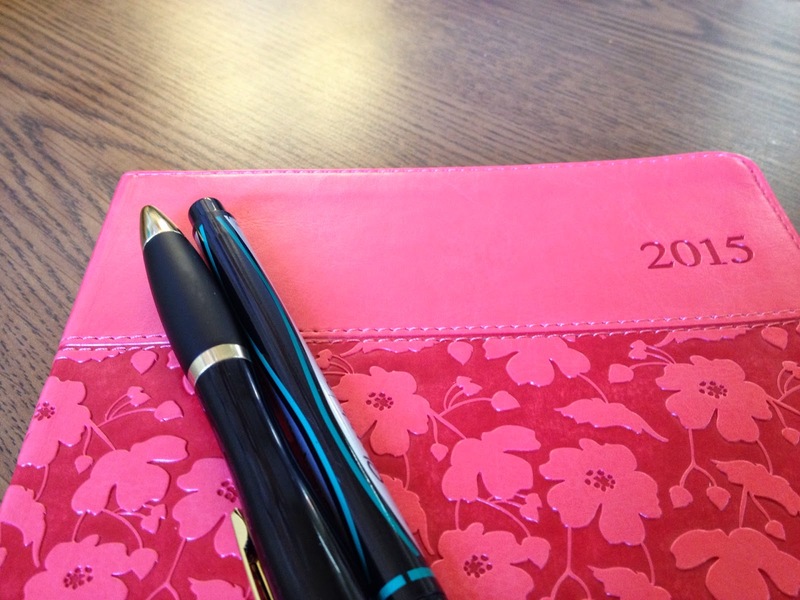 My husband thinks it's ridiculous that I still use a paper planner. But most of the features of my smart phone are completely lost on me (and most of the time my phone is lost anyway) so paper it is. Do you choose a word for the year? I have in the past but I never do anything with them. So I didn't pick one this year. But if I did, it would have something to do with growing or flourishing or being intentional. But mostly, I want to focus on small victories this year. Flossing my teeth. Washing my face. Eating real food. Not biting my nails. Forcing my child out of the bathroom while I pee because I deserve like 2 minutes by myself. The little things. Maybe my word should be "self-care." I want to focus a tiny bit on being a better version of the already amazing self that I already am. I want to be able to take care of my family a bit better than I did last year. And I want to spend a bit more time as a hands-on mama of a crazy 2-year-old. Because, truly, he's the best thing there is.